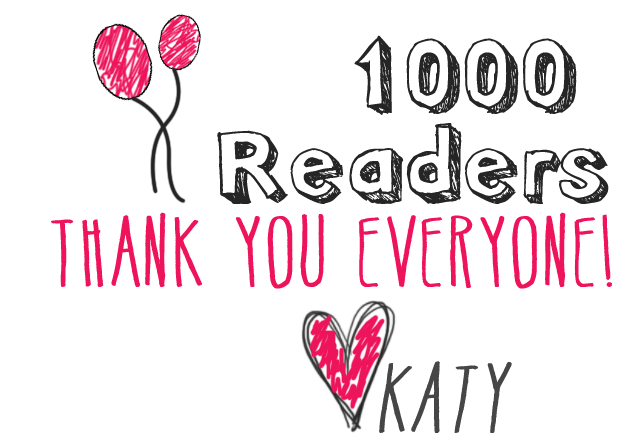 1000 Readers and an Enormous Thank You! Seriously guys, thank you! I started this itty-bitty blog back in October, hoping that I could pull myself together every day to create some sort of interesting nail art that people would enjoy. Now here we are, seven months later, and I've got a loyal group of readers and lovers of my blog that I couldn't be more happy with. I read each and every comment everyone leaves, and I love them all! I don't respond, but just know, I wouldn't keep giving you something to look at and enjoy if it weren't for your support and kind words. Nailed It isn't going anywhere, thanks to all of you! Yay! So awesome :D Congrats and I'm glad you're keeping at it! you're amazing! Congratulations and you deserve a lot more readers, because you nail art is amazing! Fantastic blog, just found this via twitter. Love all your nail art. I am obsessed with getting my nails done and I lucky enough that my mother-in-law is a nail technician, I'm rocking a lime green glitter fade at the moment. Anyway, looking forwarding to see more of your posts. Congratulations! I'm a new blogger and I hope to be as successful. Keep tha fantastic nail art coming! Congrats! I just started my beauty blog a month ago and I'm hoping I can be as successful some day!